Armchairs & rocking chairs. There is no better way to relax than by sitting in a stylish, comfortable, handcrafted armchair or rocking chair. 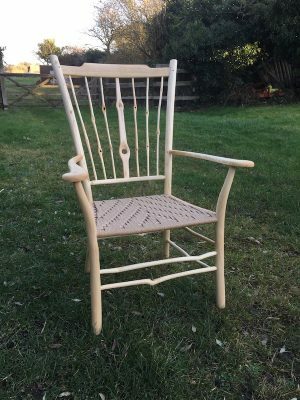 Ash is a traditional material for chairmaking and all of these chairs are made by shaving the wood and ‘going with the grain’. 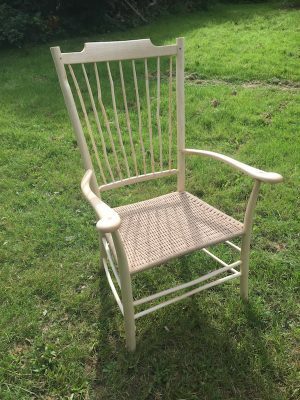 This allows the natural strength and flexibility of the wood to be utilised to its fullest during the making process which means larger framed chairs can be made without compromising their integrity. The large ‘Uncle Fred’ armchairs were named after Uncle Fred, a very dear, childhood neighbour who was a jolly, warm, welcoming and larger-than-life character. These named chairs are a fitting tribute to him and you will find no warmer welcome than from an ‘Uncle Fred’ chair. 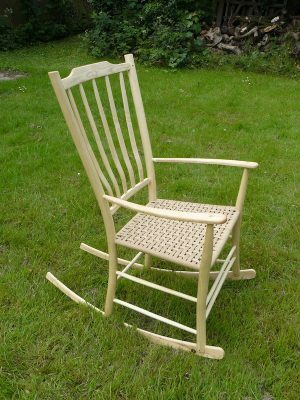 ‘Uncle Fred’ armchairs and rocking chairs are available as ladder-back, spindle-back or lath-back.